For the experienced and hardworking contractor, a nailing gun is a must have tool. It makes short work of tedious tasks like framing, roofing, and trim work, but you have to use it properly for good results. Fill in the gaps of your knowledge about nail guns so you know when to invest in one to improve your work. Whether you have driven thousands of nails or just a few in your career as a builder, proper use of pneumatic nail guns is crucial. 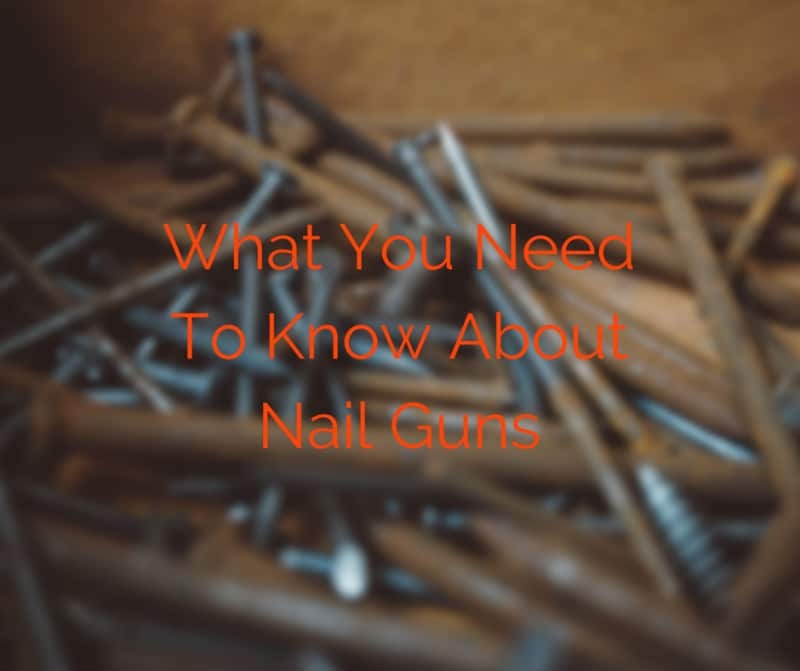 The nail gun is far safer than many other cutting and fastening tools found on a construction job site, but you can still injure yourself or damage your equipment due to misuse. Paying close attention to the work at hand is the best way to stay safe. Always wear safety glasses. Even the smallest nail can put out your eye, and those are not replaceable. Not all nail guns work for the same kind of tasks. For example, the cleat nailer sends a fastener in at a specific angle to anchor hardwood flooring boards without leaving a visible head. You wouldn’t want to use that tool in place of a metal connector nailer which is a piece of equipment designed for attaching joist hangers when building or fixing floor supports. The tip shapes, power and depth of nail driving, size and style of nail, and angle all determine which job the nail gun is used for. You will want different nail guns for different tasks. Always read and understand the instructions before using a nail gun. Determine what kind of safety mechanism is on the tool and how best to use it. Check all the hoses, connectors, and air compressor before starting work each day. Hold the gun by the handle and do not grasp the trigger until you have the tip pressed firmly against the material to prevent accidental misfiring. Avoid dropping your gun or lifting the equipment by the power cord. An inexpensive tool belt strap is the best way to keep your equipment close at hand when working on ladders or scaffolding. When loading or if the nail gun is not in use, disconnect the power source. Finding the right nail gun for the job isn’t the hardest task to cross off your list with the amount of selection out there. Knowing how to use it properly and safely shouldn’t fall from your construction checklist no matter how much experience you may have.